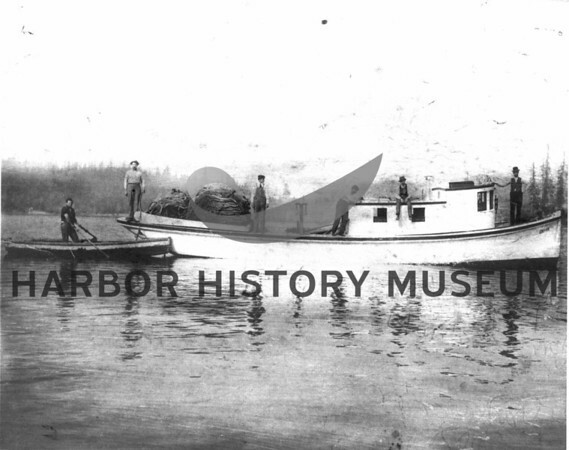 The "Union" - first boat owned by Nicholas Castelan who is standing on bow, right. Union Dock in right background. Note scale for weighing fish. Sometimes they fished inside Gig Harbor. Last registry reportedly transferred to Canadian flag and registry in 1912.